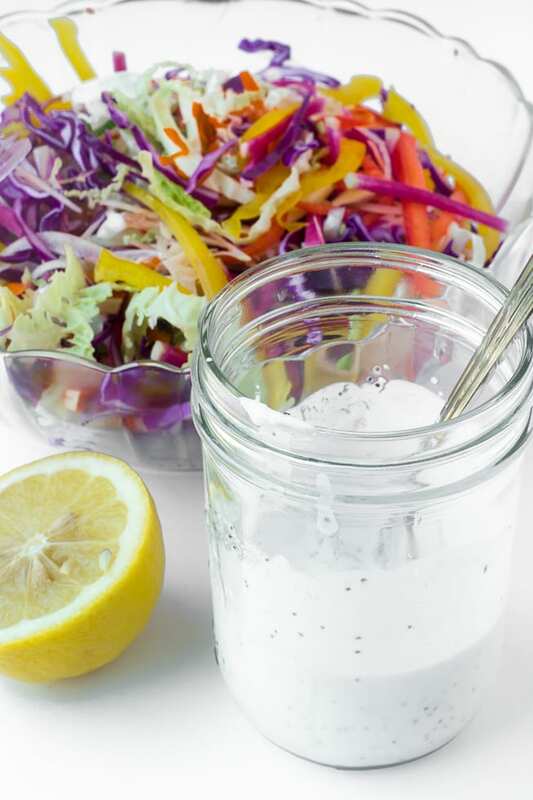 This healthy Spicy Rainbow Slaw with a tangy lemon yogurt dressing is made with red and green cabbage, bell peppers, watermelon radishes, jicama, and a touch of jalapeno complements any summer meal — it’s cooling, crunchy, and crazy colorful! I adore coleslaw — it’s right up there with salsa as one of the most perfect foods, especially in hot weather. 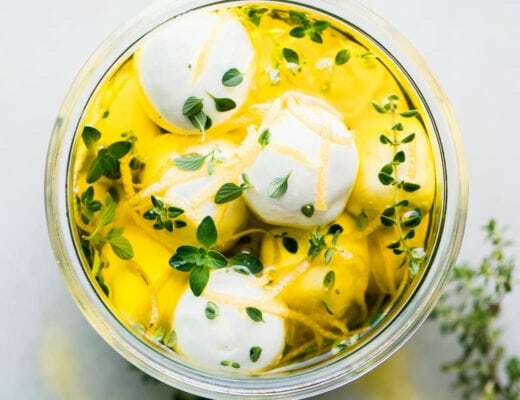 It’s as healthy as it is versatile, and I think it adds that perfect touch to so many summer classics, from hot dogs and burgers to fish tacos and grilled kabobs. I had a bit of fun with this one, hunting down the most day-glo veggies I could find for a rainbow effect. Every batch will be a different color scheme, depending on what you find at your store or farmer’s market! I employed a combination of shredding techniques depending on the particular veggies. I used my food processor with the slicing blade for some (red cabbage) and the shredding blade for others (carrots, jicama.) I used a sharp knife to finely shred my Savoy cabbage, watermelon radishes, and peppers. I used my mandoline slicer to get ultra thin slices of onion. You don’t need to use all these methods, a good sharp knife will do the trick for everything too. TIP: Veggies that contain a lot of moisture, like onions or peppers, are better thinly sliced than grated. Grating releases too much water and makes them mushy. My dressing is a combination of yogurt, buttermilk, lemon, and poppy seeds. It’s skinny, tangy, and delicious. 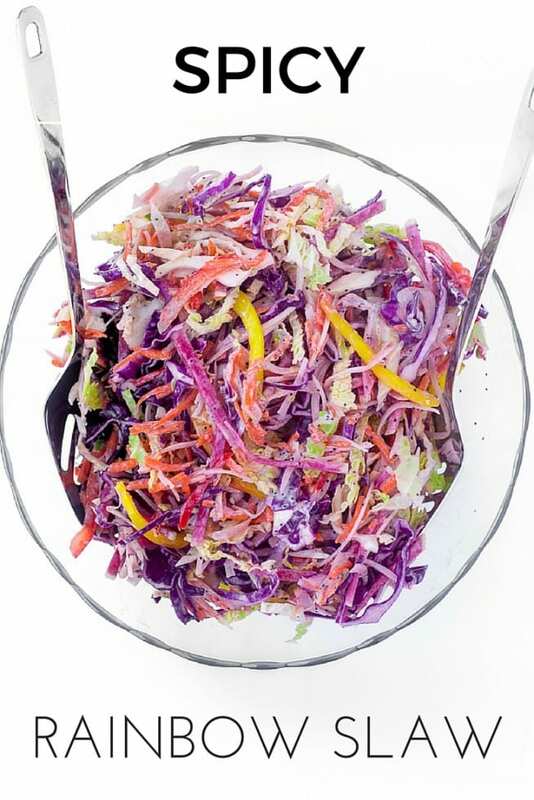 TIP: Add a bit of celery seed to the salad for a classic coleslaw flavor. I’m highly recommending this slaw, I brought it to a barbecue yesterday and everybody raved. The bright pink watermelon radish was especially intriguing. TIP: Stay away from red beets in this slaw. 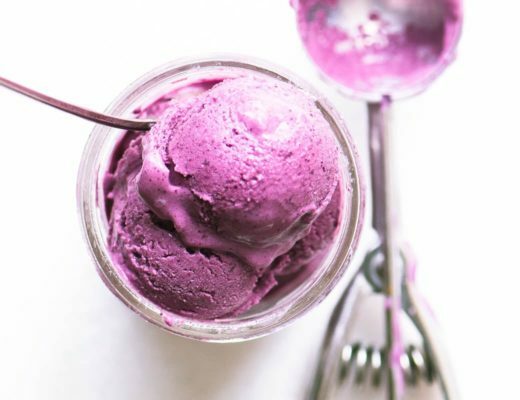 While they’re delicious and can certainly be shredded and eaten raw, they will bleed their color and turn the salad into a uniform shade of pink. If you want to use beets, use a golden, or chioga variety instead. 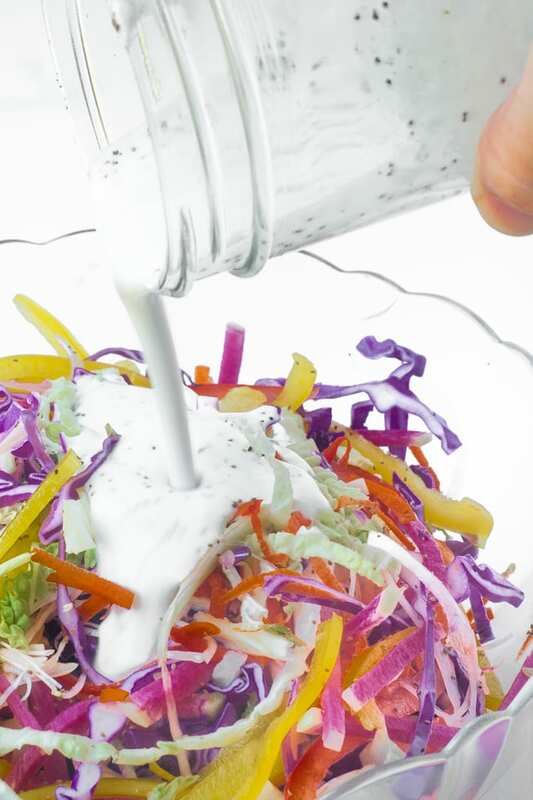 Use whatever combination of veggies you like, to make about 4 cups of slaw. 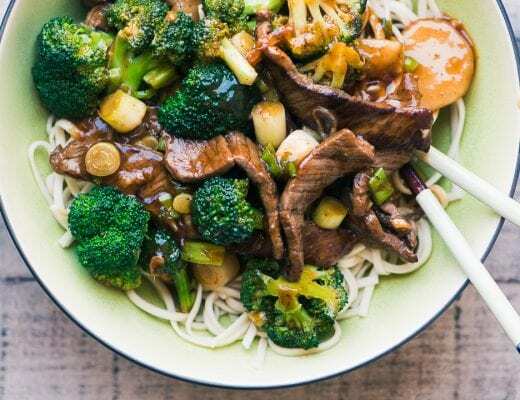 Mix the shredded veggies in a large bowl and toss to combine them. Whisk together the dressing and taste to adjust any of the seasonings. Pour on the dressing and toss really well to distribute it. Refrigerate for at least a couple of hours before serving. 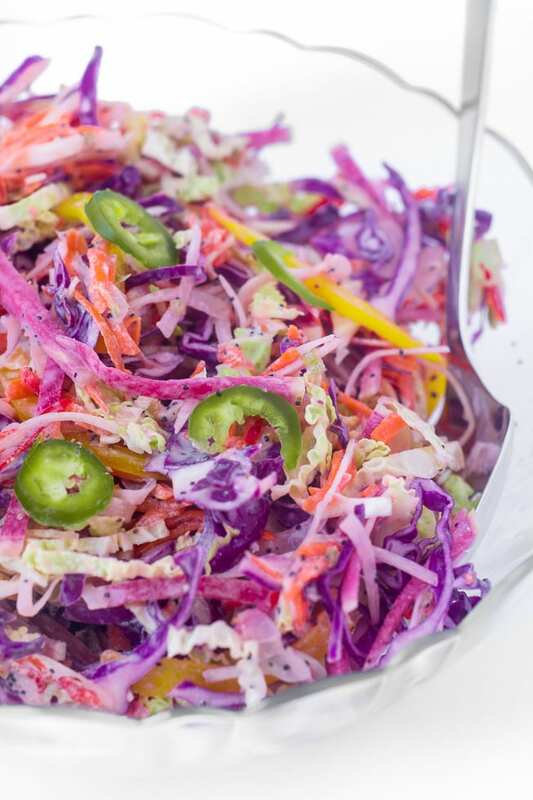 Don’t shy away from the buttermilk in this Spicy Rainbow Slaw, it’s low in fat and packed with tangy flavor. Coleslaw does fine for a few hours in the refrigerator, in fact it gets better as it sits for a while, allowing the dressing flavors to penetrate the raw veggies. 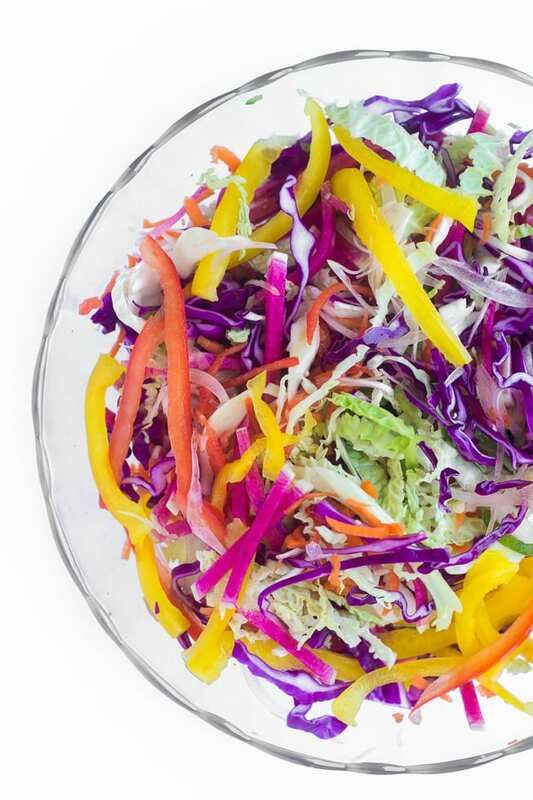 don’t forget to pin this amazing Rainbow Slaw! I actually didn’t think about the no-mayo thing, or I would have made more of it in the post — it just came naturally not to use it, I think buttermilk is so fantastic! So gorgeous! Craving for a bowl of this now! 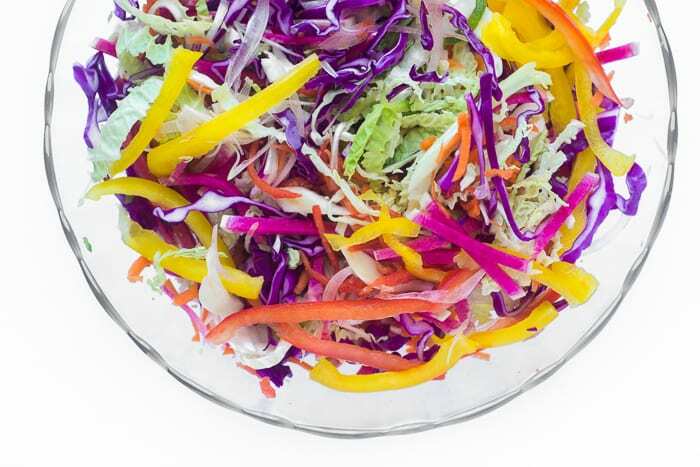 I love these rainbow colors, such a great summer slaw! LOVE this dressing! I’m such a big fan of slaw in the summer months and I believe it’s one of the best ways for non-veggie eaters to get some nutrition, lol. I think all the gorgeous colours blind them! 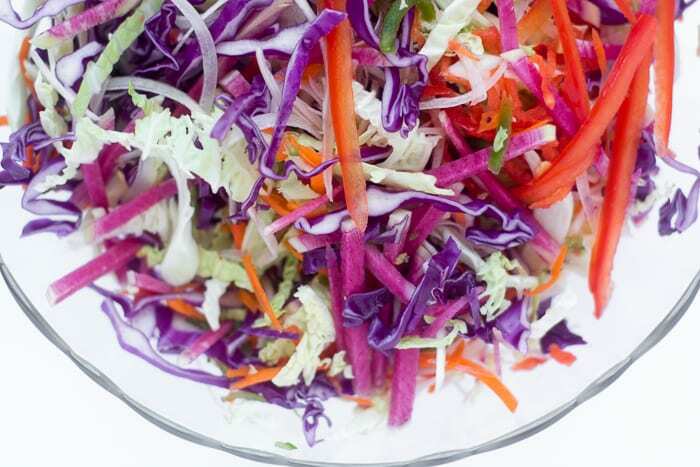 Love all the bright pretty colors and crunchiness of this slaw. I can see why it disappeared. I know I could make a major dent in it all by myself! This slaw is so pretty! I have a rainbow slaw recipe on my site too but it’s not the same as yours, definitely need to try your version soon! This is absolutely stunning. The colour is just out of this world. Good tip about the red beets too. I love when food looks so pretty! Great advice about the red beets tho! They sure do turn everything pink lol. I’m definitely going to make your dressing … even if it takes me a while to put the salad together! I was thinking though that it would be fun to make a regular ‘white’ coleslaw and use beets to turn it fuchsia! We love spicey and slaw and this is so pretty! But…What makes it spicey? Loving all the colours and flavours!! What lovely colours and more importantly this slaw sounds amazing. I love your tip regarding beets yes they are a nightmare for bleeding into the other veggies. I usually omit beets too. I’ve made your Vidalia slaw and it was such a huge success, I got asked for the recipe so many times! I can’t wait to try this one, thanks Sue! Awesome colour, flavour and crunchiness…exactly what a good salad should be. This is such a gorgeous slaw! Looks so lovely and colorful! Great slaw!